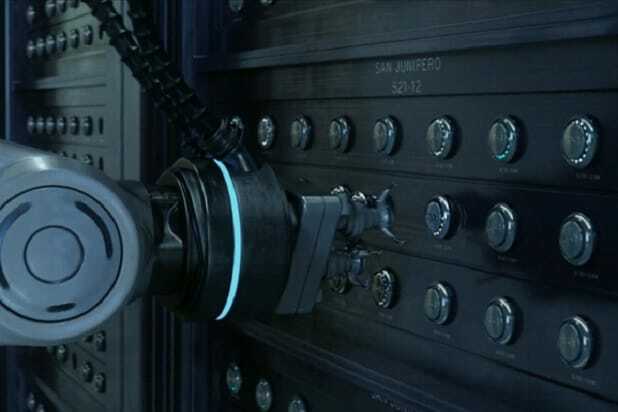 Part of what makes “Black Mirror” so interesting is that its futuristic technology often feels like it might be just a few years removed from the things most of us use every day. And that often makes the frightening, dehumanizing situations the show plumbs for its stories seem all the more plausible. But even though the technology often seems like the natural outgrowth of things we have at our disposal today, “Black Mirror” is still full of imaginative devices that are pretty out there. Here’s a look at every futuristic device imagined by “Black Mirror” to make life easier and more horrifying. The “Grain” device is a small implant that’s inserted behind the ear of the user. It apparently links into the sensory part of the brain and records everything its owner sees and hears, creating replayable memories that are stored in the device. The Grain also lets its users watch those memories, either on their eyes — where no one else can see them — or onto TV screens. Having instant access to everything that’s happened to you sounds useful, but in “The Entire History of You,” it breeds paranoia in protagonist Liam, and eventually leads him to ruin his marriage. Grains can apparently be removed, but if the procedure isn’t done professionally, it can risk brain damage. An online service combs through social media to recreate the personalities of loved ones who’ve died. It uses an person’s entire social media history to recreate their personality, allowing family and friends to send texts to the person who died, with a computer impersonating them. 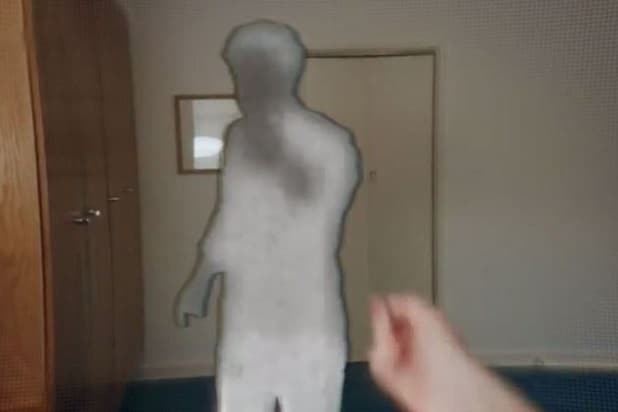 The service is also capable of replicating voices with the help of videos and other recordings, which allow the computer to carry on phone conversations as the dead person. And if someone really want to go all in, they can have all that data and downloaded into an android that looks exactly like the person who died, essentially recreating their likeness. Although the android is similar to the person who died, it of course isn’t the same, with social media and other data from the Internet still seemingly not enough to accurately reconstruct a personality. 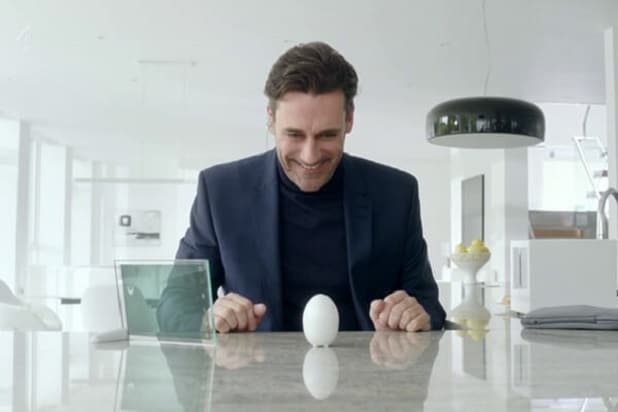 Later “Black Mirror” episodes will go even further with the idea, though. Another permanent implant in its users’ heads, the Z-Eye is basically a camera in your eyeball. Users are able to broadcast what they see and hear to other people. In the “Black Mirror” special, one person’s experiences are monitored by another person over the Internet, allowing the viewer to help walk the broadcaster through a dating situation. The functionality of the Z-Eye is like having a smartphone in your head, allowing it users to take photos, make calls, and read text messages. It also has a “block” feature that allows a Z-Eye user to block out another user from their perception, causing that person to appear as a static silhouette. Blocked people can’t communicate with those who have blocked them — when they speak, it comes through as static as well. A “Cookie” is a small-scale simulation of a person’s consciousness. The cookie computer chip is temporarily implanted into a person’s brain, where it copies their consciousness, and is then removed and placed in small, egg-shaped computer. It’s essentially an artificial intelligence, but it believes it is the person from whom the cookie was copied, which pretty much makes it a person itself. Cookies are used as personal assistants in smart homes, but in order for them to be effective, their will has to be broken. That’s done by adjusting controls that affect how the AI experiences time, causing the consciousness to be trapped and isolated for what can feel like weeks or years, when only a few seconds or minutes passes in the real world. Cookies also apparently have other purposes. 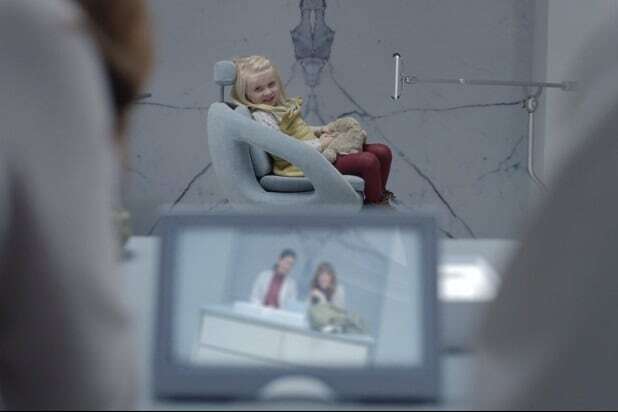 In the “Black Mirror” special episode, a cookie copy of a person is interrogated in order to coerce a confession for a murder, without the consent of the real person who was accused of committing it. The ratings technology in “Nosedive” is at least partially implanted. In the episode, social media-like rankings are assigned to everyone in society, and how other people rte you has a serious effect on your socioeconomic status. Users make their ranks by using a smartphone-like device, and their rankings are saved to their implant. The implants also seem to allow users to do a lot of things they might with their smartphones, like share what they can see through social media. Removing the implant removes the person in question from the ratings system, which effectively takes them out of society. That’s what happens to Bryce Dallas Howard’s character at the end of “Nosedive” after she’s tossed in jail. Assumedly she loses her social media capabilities as well as all the potential benefits her rating offers in the episode, like the ability to rent a car or an apartment. The “Mushroom” is a neural implant that works like augmented reality. It alters the user’s perception, adding things to their experience of the world. 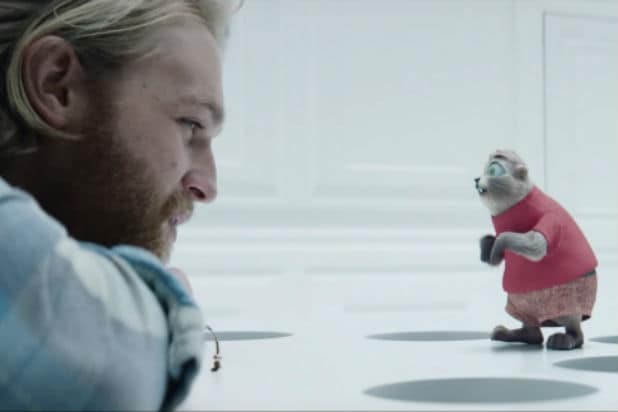 In the demonstration in the episode, Wyatt Russell’s character first plays a game of Whack-a-Mole with cartoon moles only he can see, thanks to the mushroom implant. 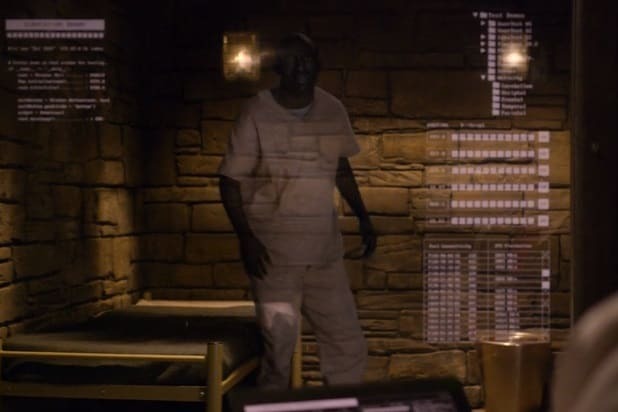 Later in the episode, though, the device simulates his entire reality, “Matrix”-style, causing him to think he is walking through a mansion and even stabbed. The mushroom is not only able to create a simulated reality for its users, it also apparently scans their minds for information. The idea of the horror video game the mushroom is used for is that it plumbs the user’s mind to find out what they fear, and then uses those fears to make the game scarier. In the episode, the device is also easily interfered with by cellular phone signals. San Junipero is actually two different pieces of technology. 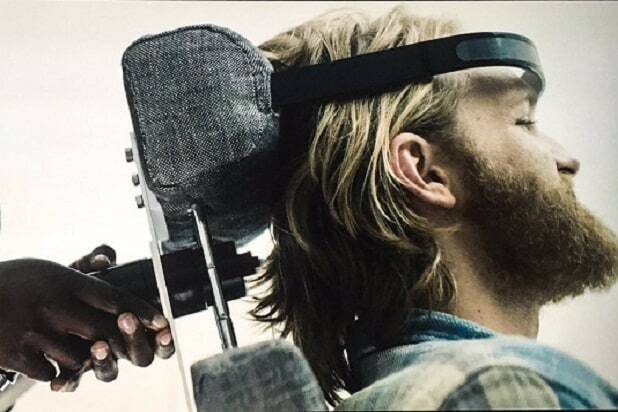 First, it’s a simulated virtual reality people can be hooked into an experience free of their physical bodies. People inside San Junipero can’t die or experience pain unless they wish to, and they inhabit younger versions of their own bodies in the simulation. 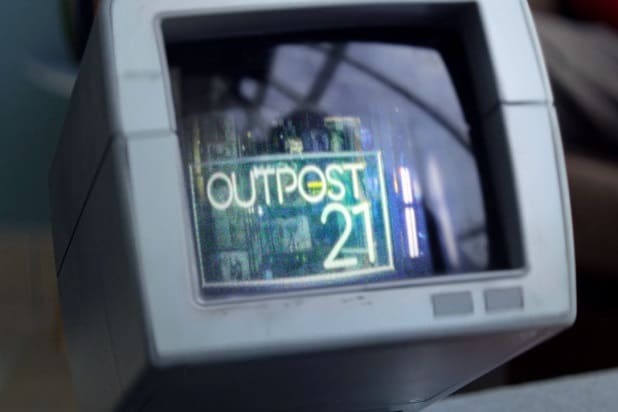 The simulation also supports multiple time periods, so while the episode mostly takes place in the 1980s, it’s possible to visit different San Junipero time periods as well. The second technology is a digitizing process that can upload the consciousness of a person into the simulation permanently, outside of their physical body. The idea is that the elderly and dying can be uploaded into the simulation to effectively live forever, even after their bodies have died. Another neural implant, MASS is a device that affects soldiers’ perception when they’re on the battlefield. Like the mushroom game implant, MASS is an augmented reality device that adds information to the user’s perception. In the episode, though, it can also alter the user’s senses and perception. The MASS gives the soldier information about their surroundings as they fight on the battlefield and allows them to communicate with each other, but it’s also used to change what they see and experience to make them more effective. 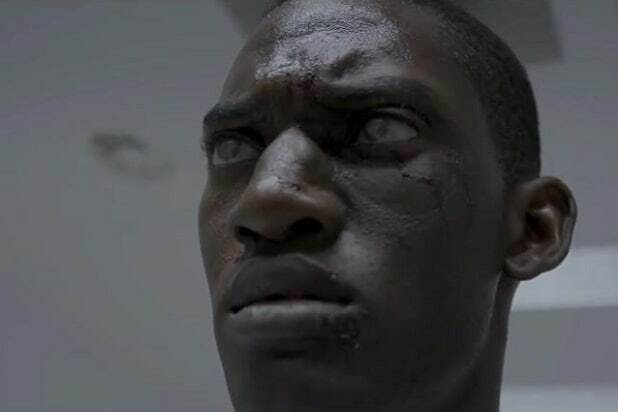 In “Men Against Fire,” the MASS implant is used to alter soldiers’ perceptions so they see enemy humans as snarling monsters. The creatures are referred to as “roaches” in the episode, but they’re actually people who are victims of a genocidal campaign to “keep the human bloodline pure.” The MASS also suppresses the user’s sense of smell in the episode in order to make them less responsive to the smells of death they encounter. The approach is meant to make soldiers more effective and less likely to feel pangs of conscience when they fight the enemy. Autonomous Drone Insects, or ADIs, are small robots meant to function as replacements for dying bee populations. 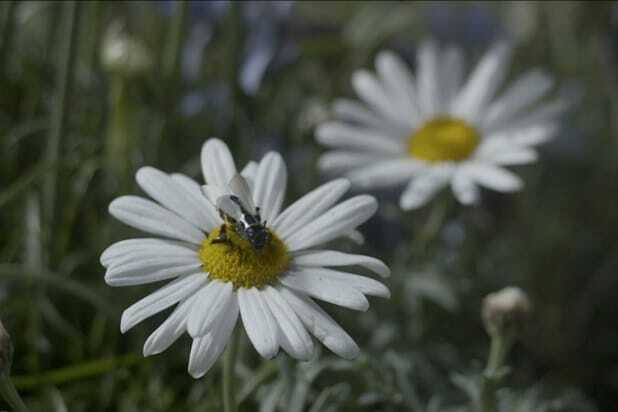 The drones are programmed to pollinate flowers and are used throughout England for that task. They’re programmed by their creator, the company Granular, and are encrypted and can only have their programming adjusted by specific devices, in order to protect against hacking. ADIs can self-replicate by using 3D printing technology in their hives, allowing them to spread and repopulate their colonies at a rate similar to bees. In addition to their functions as insects, ADIs are also used for clandestine domestic surveillance by the British government. They include facial recognition technology that allows them to identify people specifically. When they’re hacked in “Hated in the Nation,” this technology allows the drones to be used to commit murders by flying them into people’s ears. Infinity is a virtual reality simulation game similar to what’s seen in other “Black Mirror” episodes like “Playtest” and “San Junipero.” Users access the game through neural devices that take their consciousness straight into the game. They then feel like they are living in the virtual world while their physical bodies are shut down and unresponsive. 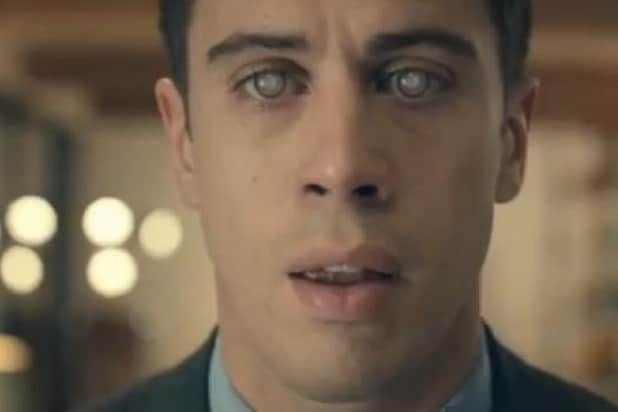 Unlike other versions of the tech in “Black Mirror,” though, there doesn’t seem to be the need for a physical implant into the brain for Infinity to work. Another aspect of Infinity is that it seems possible for a consciousness to get trapped in the game world, and for issues with the interface to actually damage the brain of or kill a user. In “USS Callister,” Jesse Plemons’ character uses a specialized DNA scanner to recreate actual people in his personal version of Infinity. The scanner can gather DNA off just about anything, it seems, a replicate a person inside the simulation perfectly. It also includes their memories up until the point the copy is created in the game, effectively making them an exact digital copy or clone of the real person. Another brain implant, Arkangel is a technology used in children that connects their senses and vitals to an external monitoring tablet. The implant is able to tap into the child’s senses to broadcast what they are seeing and hearing, which can be monitored on the tablet, and their senses can be altered with “parental controls.” The controls blur out anything the child sees that might cause a spike in cortisol levels in the brain. Arkangel also monitors vital signs and other bodily functions, like hormone levels, and acts as a GPS tracker to keep the child from becoming lost. The Corroborator is a brain-scanning device that doesn’t require physical implants to work. Instead, it uses small scanner devices that are specifically able to scan memories. The scans are fed to a nearby screen that visualizes them for someone else to view. Because memories are subjective and can be altered by their owner, the people using Corroborators generally try to gather many people’s memories in order to get a consensus of an event. But apparently Corroborators can be used on animals as well as people, and they’re useful enough that they can lead investigators to the perpetrators of crimes. An elaborate dating system meant to determine users’ perfect match, the System is a technology that takes into account all of a user’s data and choices in order to find compatible relationship partners. The system dictates how long people will be together and puts them into relationships, then gauges their reactions to these relationships and uses that information to make better matches in the future. 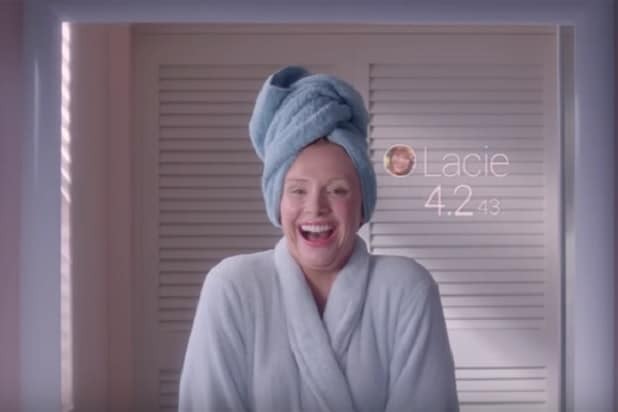 As it turns out during the “Black Mirror” episode “Hang the DJ,” the System is actually an elaborate virtual simulation, and the people within it are digital recreations of their real-world counterparts. 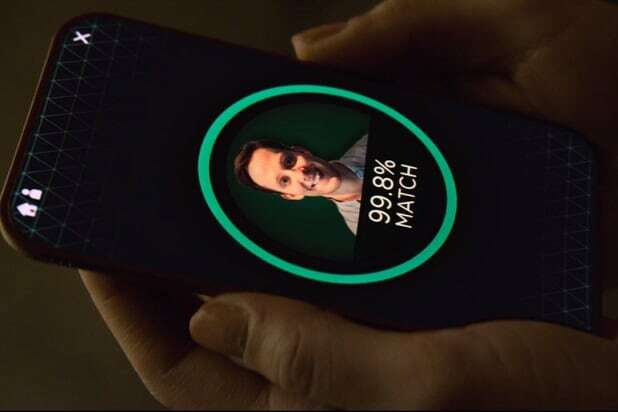 The System uses the reactions of the simulated people in a Tinder-style system to determine how good of a match they are in real life. The simulated world is apparently pretty elaborate, as are the simulations — they may as well be copies of the real people themselves. The System determines compatibility matches for people in the real world by running two thousand simulations of each potential couple. 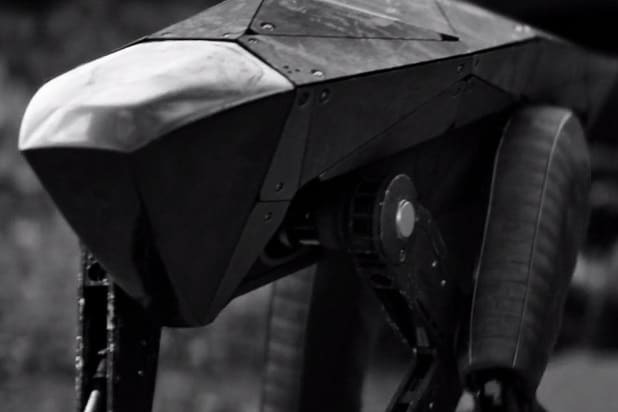 The dog is a military like robot, apparently designed to hunt down and eliminate its prey. It is able to detect elements like blood and distant electronic signals in order to track enemies, and attacks them with claws and a gun mounted in one of its legs. It also carries explosive, shrapnel-dispensing shells. Each piece of shrapnel is equipped with a tracking device that allows the dog to continue to pursue its prey even if it escapes. The dog is capable of interfacing with machinery in order to operate it, including cars, which it can drive. The dog runs on solar power and goes into a dormant state in order to recharge. A two-part system, the Sympathetic Diagnoser is mainly a brain implant that receives sensory information from a transmitter. The information is confined to sensations — pain, specifically, but also pleasure and fear. The transmitter is a brain scanner that another person wears on their head. When another person is wearing it, the Diagnoser allows the person fitted with the receiver implant to feel the pain (or pleasure) of the person wearing the transmitter. In “Black Museum,” the system was used to help a doctor identify the ailments of his patients by allowing him to feel them himself. Also Read: 'Black Mirror' Easter Egg: Was This Character Involved in Collusion With Russia to Hack the U.S. Election? 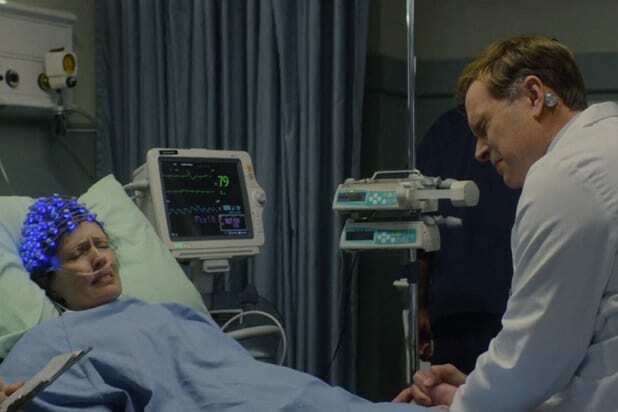 The consciousness transfer technology mentioned in “Black Museum” downloads one person’s consciousness into another person’s brain, allowing the two people to share the same body. The transferred person’s original body becomes an empty husk that’s euthanized, The person into whom the consciousness is transferred still maintains full control of their body, with the new person their brain basically becoming a passenger within their body. The consciousness transfer is said to be similar to the one in “San Junipero,” in which people are downloaded into a computer system instead of another person. The person who receives the transfer can apparently be given controls over the new person in their body, and the consciousness can be transferred into other computer systems. 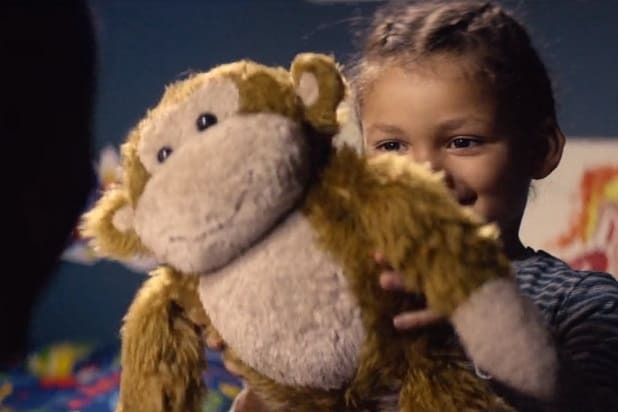 In “Black Museum,” a consciousness is transferred into a storage space inside a talking toy monkey, but it still is limited in its ability to interact with the outside world. 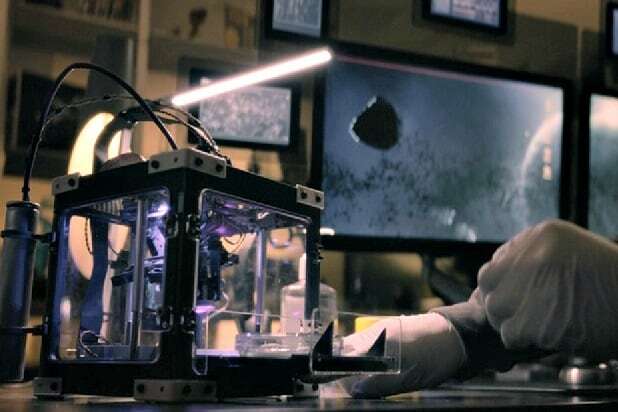 Using the same consciousness-copying and downloading tech as seen in other “Black Mirror” episodes and discussed earlier in “Black Museum,” the conscious hologram is an actual copy of the person’s entire personality. The technology scans through the person’s brain to exactly duplicate them as a simulation. In “Black Museum,” the consciousness is then simulated in a physical space as a hologram. The hologram is still able to feel pain through the simulation, however, and full copies of the consciousness can be placed in other storage devices, just like the talking monkey doll. ‘Black Mirror’ Easter Egg: Was This Character Involved in Collusion With Russia to Hack the U.S. Election?